Tucked away at the base of the Blue Ridge Mountains is an ideal wedding destination surrounded by scenic beauty, panoramic views, and unforgettable romantic settings. If you’re in search of something distinctive, something fresh, and free from the ordinary, Lake Lure and the Blue Ridge Foothills has you covered. Let your imagination run wild and create an experience you and your guests will cherish for a lifetime. Whether you say your vows lakefront or countryside, host a reception in heels or throw a party in hiking boots, you can find the perfect backdrop year-round to celebrate the big day in your own unique way. 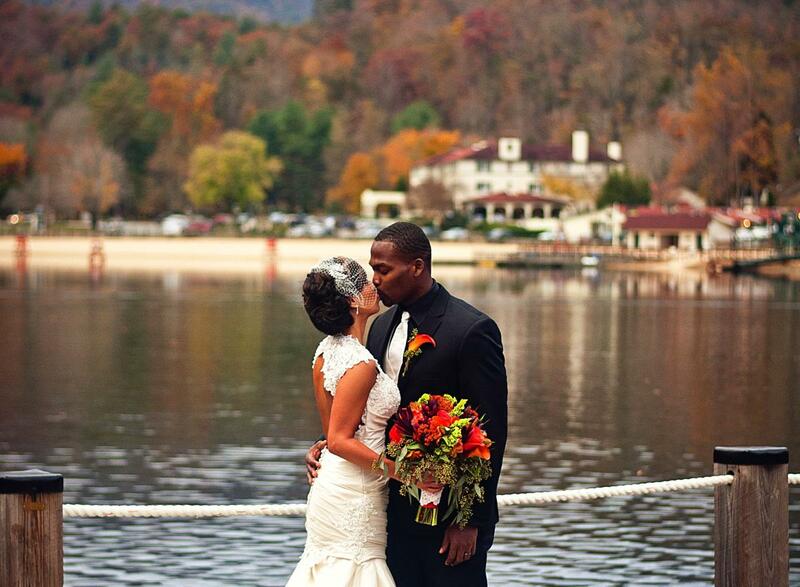 Explore the reasons and ideas to tie the knot in the foothills of Western North Carolina. Make your wedding dreams a reality and fall in love with a place amidst breathtaking landscapes, pristine mountain air, and serene lakes and rivers. 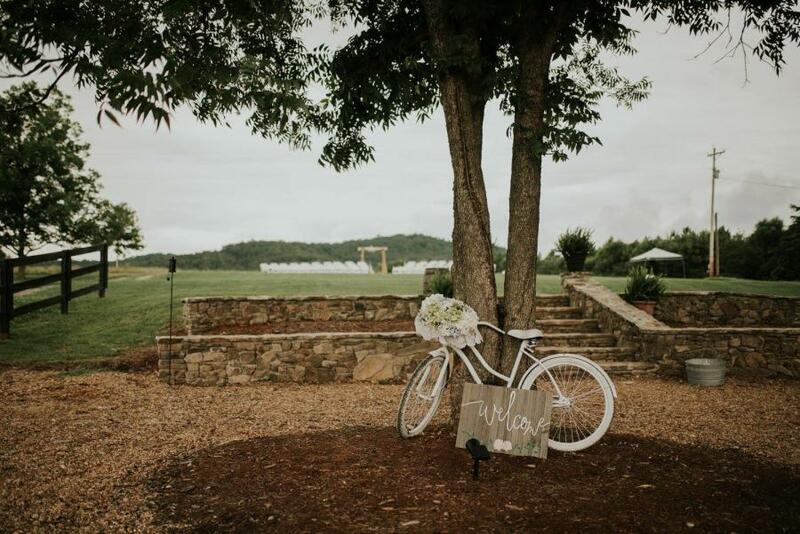 Conveniently located between Charlotte and Asheville, and just an hour north of Spartanburg, the quaint towns of Rutherford County present the quintessential location for saying ‘I Do’. Nearby regional and international airports make the journey simple for all out of town guests to join in on the festivities and the optimal gateway to a bevy of regional attractions. The four-season climate offers an abundance of opportunities for choosing the ideal time of year to walk down the aisle, with moderate temperatures that make the winters a little warmer and the summers a little cooler than surrounding areas. Be welcomed by friendly faces, embraced by southern hospitality, and discover the warmth of a small-town lifestyle as you prepare for the one of the biggest milestones of your life. Whether it’s a small gathering or a grand affair, set the tone for your big day of wedded bliss by selecting the perfect location. From simple to luxury, traditional to unique, rustic and beyond — in our neck of the woods the possibilities are endless. Plan to have the ceremony and reception all in one location, housing all the comforts the happy couple and wedding party desire at one of our luxury resorts and inns. At Rumbling Bald Resort, couples can choose a ceremony beachside under a gazebo or open-air pavilion, and later dance the night away on the Lakeview Terrace. For smaller groups, opt for the Garden room and patio. 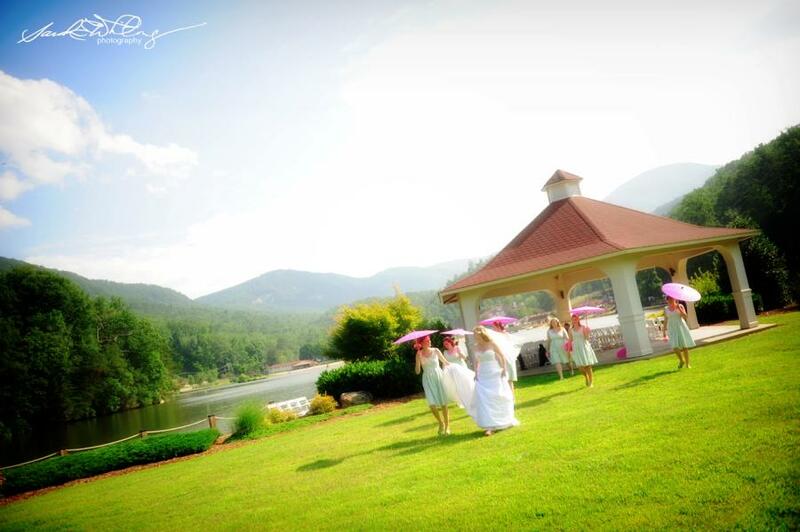 Famous for its role in the film Dirty Dancing, The 1927 Lake Lure Inn & Spa offers awe-inspiring weddings in a variety of styles. Ceremony options range from the poolside veranda terrace, lakeside gazebo, and the lavish grand lobby. Gather your guests for an elegant affair and celebrate in one of the decadent dining rooms. For intimate settings, plan to hold the nuptials close to local attractions. Chimney Rock’s Esmeralda Inn & Restaurant specializes in groups of 20-80 in an upscale retreat that sits mountainside boasting a rustic log staircase and beautifully landscaped spaces. 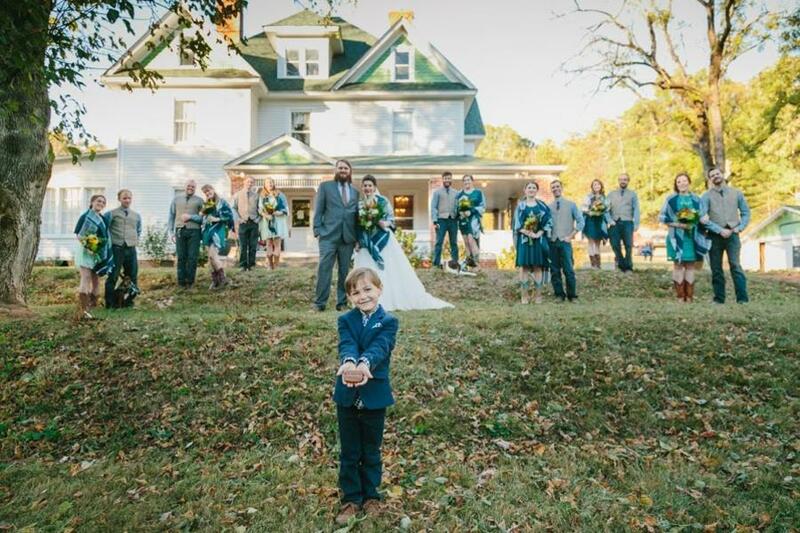 In Historic downtown Rutherfordton you’ll find The Firehouse Inn, an exquisite venue offering a stylish Garden Terrace and tent on the courtyard lawn for groups up to 75 and a Living Room perfect for the smaller weddings accommodating up to 50 people. Natural settings provide beautiful escapes for your wedding getaway. Stage your special day surrounded by a cathedral of mountains and profess your love lakeside under the Gazebo at Morse Park. Perhaps you prefer a 75-mile panoramic view as your backdrop. At Chimney Rock State Park you can choose from the world’s largest chimney, misting waterfall or a secluded forest edge to set the stage. 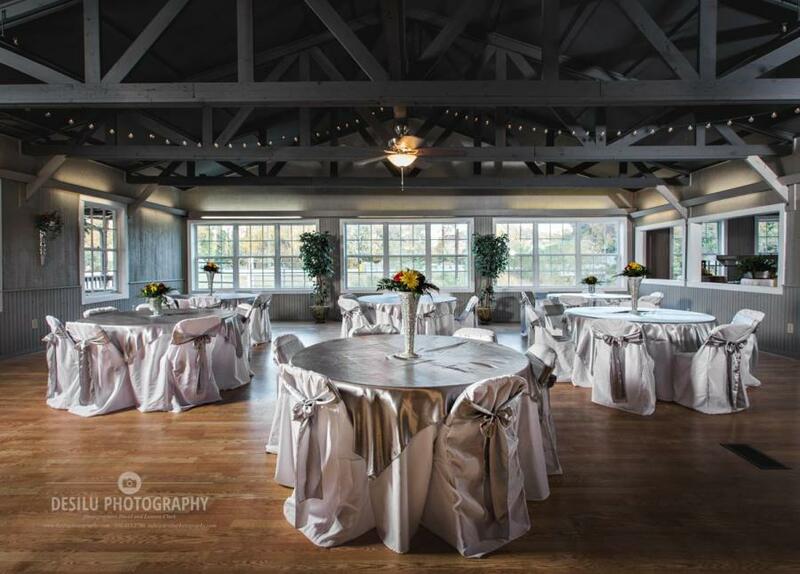 Or embrace the ambiance of a rushing river at Riverside Event Center. If green pastures, rustic elegance, and a touch of country flair are more your scene, try The Pavilion at Cedar Creek Stables, New Beginnings Historic Farm or Zimmerwald Estate Barn & Grainery, offering laid-back receptions with idyllic views of barns, lakes, and woodlands. Nestled in the rolling foothills of Rutherford County is versatility and hospitable service on a grand scale. At Carolina Event & Conference Center in Forest City, brides will be stunned by the gorgeous ballrooms designed with soaring ceilings and stone fireplaces plus an outdoor terrace with gardens. With onsite catering, this multimedia equipped facility can accommodate up to 500 guests. Home to the Town of Spindale and the largest venue in the area, The Foundation Performing Arts Center is a multi-functional venue offering pristine space for 350-seated or 800-standing. And opening to the public this summer is Yogi Bear’s Jellystone Park, a picturesque 500+ Camp-Resort in Golden Valley offering an ideal retreat for your all-inclusive rustic wedding getaway. Wedding planning can be can be one of the happiest and exciting times in your life. It’s your time to shine, to create a day that is uniquely yours and a destination getaway your guests will never forget. Get everything you want for your wedding day and more from an array of guest accommodations to an unparalleled lineup of amenities and adventures to satisfy all ages. 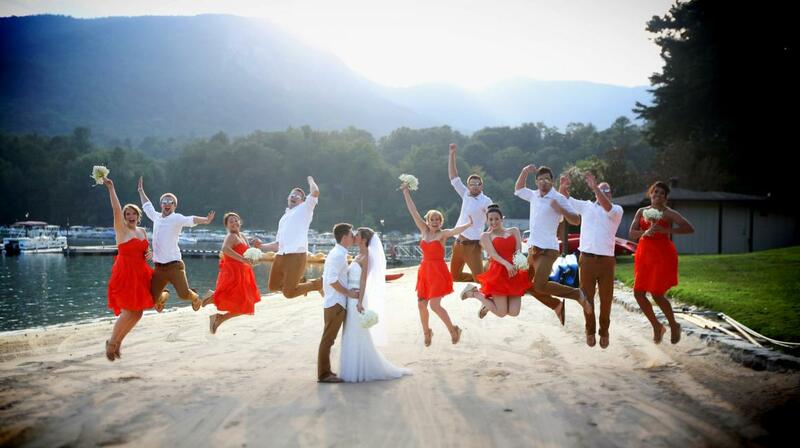 With a variety of friendly services, experienced professionals and impressive venues, Lake Lure and the Blue Ridge Foothills has the whole package to make your dreams come true! For a detailed list of venues mentioned above, download our Wedding Guide.